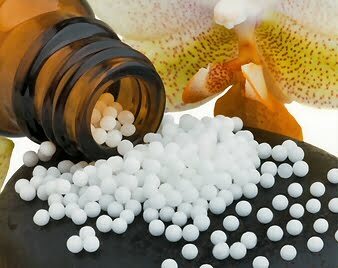 Home » Articles , Health News » Is Homeopathy a Medical Fraud ! Is Homeopathy a Medical Fraud ! Homeopathy is an alternative medicine system developed in 1796 by Samuel Hahnemann. Today a number people consider it as a fraud. But if it really didn't work, then why is it still in practice after more than 200 years. Is homeopathy really a medical fraud or is it just a trick of medical community to defame it. Here we will try to find the truth by analyzing some facts about homeopathy. A majority of people don't know that homeopathy is not a medically approved medicinal system. It is an alternative medicine system, just same as we use home remedies for some diseases. Homeopathy is pseudoscience, but presented as an actual science in front of general public. What is the science behind Homeopathy ? "A substance that causes the symptoms of a disease in healthy people would cure similar symptoms in sick people". Yes you read it right, it is the basic principle of homeopathy. Preparation of a homeopathic medicine uses an actual medicine ( or substances extracted from plants, animals or minerals) which is diluted in alcohol or distilled water to a level where actual medicine does not exist any more. Why does Homeopathy treat some people successfully ? Yes, it is true that homeopathy treated some people successfully and some clinical trials also suggested the same. But that successful treatment can only be attributed to placebo effect of homeopathic medicines. Usually a homeopathic practitioner asks several questions before prescribing a medicine such as symptoms, disease history, lifestyle, personal traits, psychological state and life history. When a patient is asked all these question, he/she believes that there is something in the medicine which will definitely cure him/her. It initiates a better placebo effect, where a person's own body treats the disease, not any medicine. Why Homeopathy is a fraud ? Some people may say that if homeopathy treats some people, even without giving actual medicine, then how is it a fraud. Such people should know that even general medical practitioners use placebos to treat some diseases, but they don't use them in all cases. Some diseases can't be cured using placebos. The worst thing about homeopathy is that it discourages the use of actual medicines, which can sometimes be very unhealthy for a patient. Homeopathy is very popular in developing countries as people of these countries are less aware about medical science. Even advanced countries are not far behind as $3 billion a year are spent by Americans alone on homeopathic medicines, which has got no scientific evidence behind it. Most of the homeopathic medicines are just sugar pills as the original medicine is diluted to such an extent the there is not even a single molecule of medicine in it. Most homeopathic medicines lack sufficient clinical trials and any scientific study behind it. According to betterhealthfacts.com , those who are cured by homeopathy will never believe the above facts. The definition of science differs for different people. Even if placebo can improve your body to treat a disease itself, then there is nothing better than that. But believing homeopathy to an extent that it can treat serious life-threatening disease is not correct.